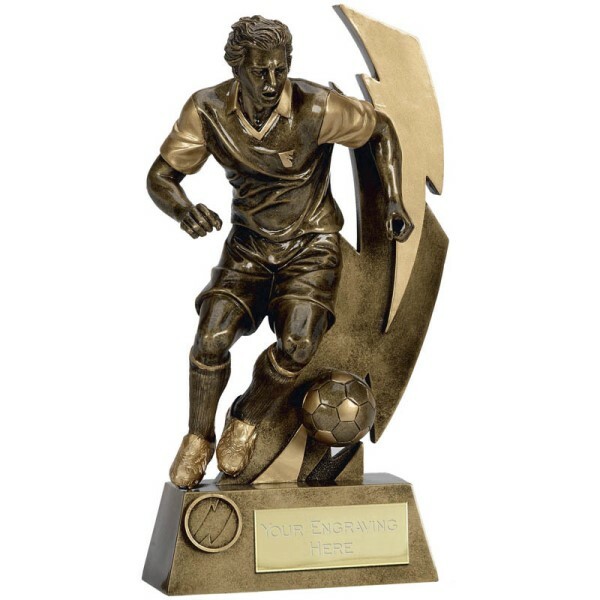 Part of our Gold Flash Range of football trophies. Perfect for presentation nights or after match ceremonies. Available in 5 sizes; 14.5cm (A1421A), 17cm (A1421B), 18.5cm (A1421C), 22cm (A1421D) & 26.75cm (A1421E).